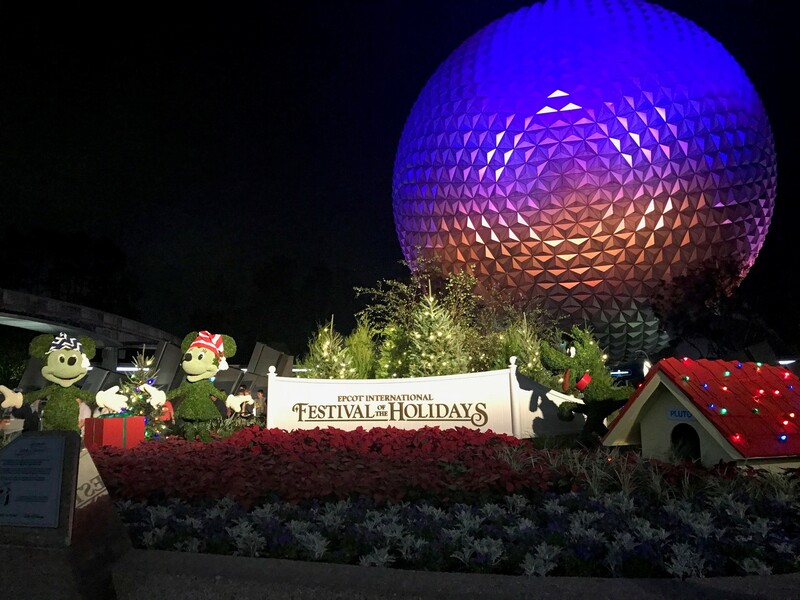 While much of the focus of lodging when talking about Disney is upon the experience staying at Walt Disney World hotels, there are still throngs of people every year that for one reason or another choose to stay in off-site accommodations. There are several considerations in play with off-site lodging, both in terms of whether it is a good fit for you, and then what you should look for in selecting off-site accommodations. Let’s jump right in! Should You Stay Off-site At All? You will find vocal advocates of both staying on-site and staying off-site at Walt Disney World, and I have no interest in telling one side that they are right or wrong. Instead, the goal is to set out some of the things you should take into account in making the determination. There are two primary draws to staying at a non-Disney hotel: variety and cost. 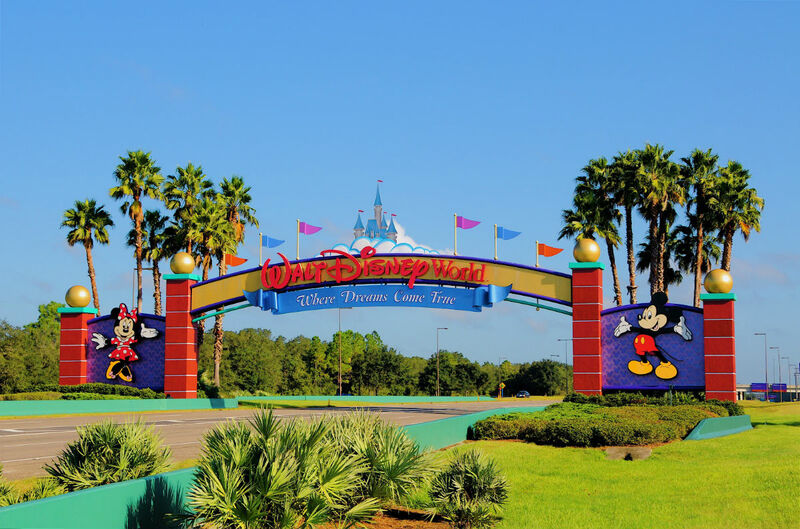 While Disney’s on-site hotels work great for some traveling parties, they are not ideal for larger families, groups, or people that want more space than a traditional hotel room. For example, if you have a group of 5 people traveling together, the number of rooms you have available to you through Disney shrinks dramatically, and groups larger than that are forced into more expensive suites or villas, or required to get multiple rooms to accommodate their party. What’s more, the price per square foot for off-site properties, particularly larger properties, can be significantly less than on-site accommodations. 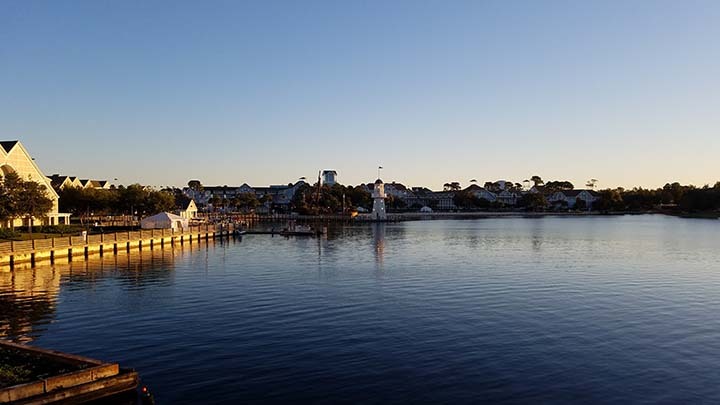 The opportunity to get more space, plus amenities that can’t be found on Disney property, for less money makes staying off-site an appealing option for many visitors. Parking: Parking at the theme parks currently costs $17 per day as this goes to press — Disney hotel guests do not have to pay to park, and may not need to, if they use Disney transportation. Resort Fees: Some resorts include resort fees to cover internet access, fitness centers, and things of the like. For example, guests of the Gaylord Palms Resort & Convention Center in Kissimmee are charged an additional $20 per night as a resort fee. Hotel Parking: Some resorts charge separately for parking if you have a vehicle. Using the Gaylord Palms again as an example, it charges $18 per day to self-park, $26 per day to valet park. Transportation: If you’re flying into the Central Florida area, you’re going to need to get to your hotel, and you’re going to need to be able to get around. Renting a car is the most common option (rental rates in Orlando tend to be very reasonable), but cabs, Uber/Lyft or even public transportation are options as well. Regardless of how you plan to get around, make sure you account for it in your cost comparison. Cleaning fees: It is not uncommon for vacation rental homes and condos to charge a cleaning fee that is not included in the daily or weekly rental rate. Someone staying off-site may have to deal with all, some, or none of these additional costs depending upon the property you are considering and your situation. For example, an Annual Passholder driving his or her own car and staying at a hotel that does not charge for parking or have a resort fee would not have to incur any of these additional costs (parking at WDW theme parks is free for Annual Passholders). Setting forth the specific costs on a hotel-by-hotel basis are well beyond the scope of this article, but the point is to make sure that you know what additional costs you’ll need to bear and account for them in your budgeting. For me, this is the biggest concern with staying off Disney property — you may have to travel further to get between your hotel and the parks and deal with parking; and that’s probably going to take more time (although there are certain properties that are close enough that driving might be faster than someone relying upon Disney buses). Depending upon where you are staying, it might not be that much more time on a trip-by-trip basis, but over the course of a vacation it can add up, especially if you go back to your room in the afternoon for a break. For those with small children, where staying out all day is more difficult and midday breaks tend to be a component of the trip, transit time can be particularly important. Disney provides various perks for those staying at its hotels — free Magic Bands, an extra 30 days of FastPass+ booking (which, if you’re angling for the “hot” attraction of the moment, can be the difference between getting it and not), the 10 day extension to your dining reservations, Extra Magic Hours, and Magical Express. Maybe you care about these things, maybe you don’t, but you should at least be aware of them in making your decision. This is one of those intangible things that you’ll often hear Disney guests talk about — the idea that when you stay on Disney property, you’re fully immersed in pixie dust and separated from the real world, making it that much easier to suspend disbelief and bathe yourself in “Disney magic.” While I think most would agree that a trip spent 100% on Disney property has a different vibe than one where you leave every night, whether you care about that is a different matter entirely. Frankly, there might be someone in your traveling party that would actually prefer getting a bit of a breather from the Mouse each day. It is ultimately a matter of personal preference, and just another factor to consider in making your decision. OK, so you’ve decided you’d like to stay off-site — what now? Again, evaluation and comparison of the many, many off-site options in the crowded Orlando market is far beyond the scope of this article, but I do want to highlight some of the less obvious things that you might want to consider in selecting a property, in addition to the many amenities listed above. Depending upon what you’re doing while in the Orlando area, this could be as important as any other factor to consider. If you intend to spend most of your time at Walt Disney World, Universal Studios, or some other area attraction, the closer you are to that, the better, generally. On the flip side, if you intend to visit several different destinations, something more centrally located is going to be preferable. One tip, however — actually look up the location of the place you’re considering on a map rather than relying upon the description in its marketing materials. “Near,” “provides convenient access to,” and “minutes from” all sound great, but they are inherently vague and don’t really provide you with any useful information. “Convenient access to all Central Florida attractions” might be code for “not particularly close to anything.” In fact, some renters will just put the word “Disney” in the property description in the apparent hope that the reader will just assume that means it’s nearby, when in fact it is many miles away. The point is, if being in a particular area is important to you, take the extra moment to confirm that a condo that purports to be “close to” Walt Disney World isn’t only “close to” it as compared to something in Miami. One of the great things about renting off-site vacation homes and condos is that you can get a lot more space for your money, including common areas with proper couches that provide a great place for everyone to relax when spending time away from the parks. With that said, however, there is a tendency with many of these places to configure them to sleep as many people as possible. The result is that a place might sound enormous by virtue of the number of people it “sleeps,” but it actually requires liberal use of fold-out couches and bunk beds to wedge lots of people into the space. Put another way, it could be that you need to use those common areas for sleeping as well to fit everyone in, which might defeat the purpose of having them. This is not necessarily a bad thing, it is just something to be alert to, particularly if you have visions of the adults hanging out in the living room after the kids turn in for the night. If this luxury of space is one of the reasons you’re staying off-site, ignore the number of people it “sleeps,” and focus your attention more upon the number of bedrooms it has. This will give you a better sense of the actual configuration of the property and whether or not it is going to meet your needs. Let’s get one thing out of the way at the outset: online reviews are hardly the definitive word on the quality of a particular property. You should not rush sight unseen to a motel on I-4 because “Joe from Springfield” gave it a gushing five-star review on Tripadvisor.com, nor should you assume that the Waldorf Astoria has lost its caché because “Jane from Greenville” found the shower gel unacceptable and accordingly saddled it with a one-star review. It does not follow, however, that these online reviews are completely bereft of value. First of all, many reviewers will leave very detailed factual descriptions of the properties. Particularly for vacation rentals where you are renting a specific unit, reviews left on Flipkey.com, HomeAway.com and VRBO.com often provide valuable insight about a property, and will likely highlight any quirks that you might care about. The response of the owner to negative feedback can also be telling. Things happen, and sometimes those things happen while you’re on vacation. While I don’t necessarily read too much into it if an owner doesn’t respond to negative feedback, if they do, the response can be illuminating. If an owner takes pride in his or her property and genuinely cares about the experience of those staying there, it will generally show in the response. For me, if I’m on the fence between a couple of properties, an engaged owner will usually tip the balance. Whether to stay on-site or off-site is a personal decision, and while you’ll find passionate opinions on both sides of the question, it really depends upon what is important to the travelers, so there is no right or wrong answer. Staying off-site does add a few more variables to the process — both good and bad — and they should be taken into consideration when deciding which works best for you. For those of you that stay off-site, what factors guide your decision the most? Please post any tips and words of wisdom you may have in the comments! My family are very budget concerned and have stayed both on-site (value resorts) and off-site (Fairfiled Inn at Marriot Villate). We always update and review our spreadsheet to compare all costs (parking, car rental, etc) before taking the decision that might change between summer and value season! In the future, we would like a one month stay, renting a condo near WDW, any suggestions? In terms of a specific unit, I don’t have a particular recommendation, no, but for a trip like that (or really any trip of more than a few days where you’re looking off-site), take a look at All Star Vacation Homes, or the other sites mentioned in the post (VRBO, Homeaway, flipkey, etc.). They allow you to search by the criteria you care about and would be a good way to find a place that meets your needs. You’ll definitely want to plan as far ahead as possible, though, to ensure that the unit you’re interested in will be available for that entire time period. When it is just the 2 of us, we routinely stay onsite and splurge at a delixe resort. Last year, we took a family group of 11 and there was no fiscal way to do it withou staying offsite. We ended up with two 3-bedroom condos, just 2 minutes across I-4. I have to tell you, I prefer onsite much better. Thanks for a great article highlighting the differences between staying offsite and onsite. I would point out that using the Gaylord as an example is a bit extreme… there are much larger properties in the area with more features for much less money. Also, in our experience, condo and town home type properties only tend to charge a cleaning fee on short (<7 days) stays. We simply avoid the ones that charge these fees for longer stays (we usually stay about 8 nights). We've thought about flying in before, but since we are only coming from northwestern NC, we find that driving is cheaper than flying and renting a car. Although, since we typically break the trip up by staying in a hotel on the way down and back, the difference is small. Thanks for the note! Yeah, Gaylord is on the higher end of the spectrum in terms of its resort and parking charges, but it’s one of the more popular off-site resorts and a lot of people have heard of it, so it seemed a better option to use as an example than a place in lower demand that was more unknown. The point is well-taken though — there are resorts and rentals that have these fees, and those that don’t, and the goal is just to make sure you’re aware that you might be charged for these things so you can look out for them and take them into account in your planning! Gaylord, bonnet creek resorts, and marriot are all CONVENTION hotels. A lot of those guests have a business reason to be there and expense account. Why would one ever pay for parking twice? once at their hotel and once at the parks for the day? Because they did bad planning!! Or there’s an overriding reason to be at the off site large resort other than WDW. The vacation only / pay your own way traveler should probably stay either on site or in a vacation home off site. Hotel plaza blvd is a good compromise if on site is all booked up, but only if it’s not really appropriate to get a whole vacation home rental. Great article. Our son was in the College Program last year and we were fortunate enough to drive him down and then visit 3 other times for a week each. There’s no way we could’ve visited him that many time if we’d stayed onsite. 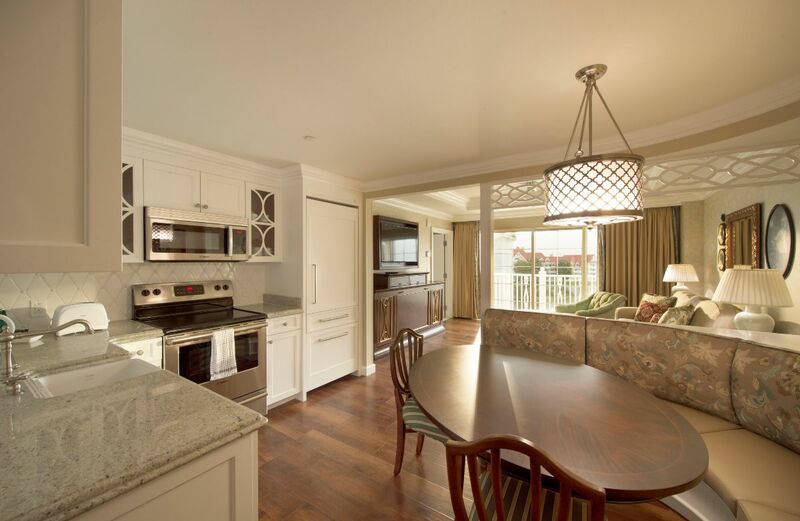 We were able to get great condo deals that put us in Lake Buena Vista condos for about $350/week, or about $50/night. Staying at the absolute cheapest WDW resort would’ve still cost us 40-50% more than that. So while I get the “Disney Bubble” argument, at some point we had to say we’d rather visit 4 times vs. visit 2-3 times. I agree completely on looking at location. The places we stayed put us only 15 minutes or so from 3 of the 4 parks. MK was farther because we had to park at the TTC. There were other condos where we could’ve been twice as far away, if not farther. Also agree on looking at “hidden” costs like resort/parking fees. Last time we did a split stay (5 days at a Disney hotel with the free DP booked over Disney UK, and 10 days in a rented villa). We used a villa at Indian Wells the last time and it was really close to Disney. We only had a 10 to 15 minute drive. The Walmart is nearby and we used the rental car to get around and to get to Universal. We will do it this way next summer again. Thank you for this. As a newer Florida resident (we live about 2 hours away) with seasonal annual passes, I am considering more off site stays. Especially if we just come for a weekend. Since we moved we have been staying at ASM using FL resident rates (next week our weekday rate was $69). One of my biggest hesitations is transportation and parking, we do have a vehicle but I have always found Disney transportation convenient (not always easy but convenient especially to MK). I get the FL resident season pass too. I like getting a house / condo when I’m staying for more than 5 nights. 5 nights or less, then I like getting an annual passholder or FL resident rate. If you’re doing a longer stay, then you’ll get the hang of the drive/ commute. When you drive yourself, you have the liability risk and responsibility to avoid accidents. 3) car seats (for kids). 4) More Nimble (typical car can stop and react better than a bus). There’s accidents at WDW, and I’ve been going enough and seen some car accidents. Of course there have been some well-publicized bus accidents too. If you’re doing a lot of drinking while at the parks, then Disney transportation provides the designated driver. Thank you Ron. I appreciate your perspective. d) take your overstimulated kids who will be restored by a couple of hours of familiar to McDonald’s, Denny’s, or some other more routine experience for them. Although you can go off-site while staying on-site if you have a car, I suspect a number of visitors who stay on-site and are not familiar with the area approach a trip off-site as first having to get off-site and then having to figure out what to do once they’ve gotten there. The practical outcome of *staying* off-site is that you drive by places you mark off as ones you might want to eat at on the way to the parks, you know where the grocery store is, etc., and it removes this extra overhead. A major factor in our decision-making is the length of the trip. On-site is great for a short trip , but spending 14 nights or more all squashed into one or two rooms is my idea of hell! Stayed offsite once and hated it! Don’t want to deal with driving – traffic, knowing where I am going or the hassle of renting a car. Don’t want to see a Walmart or any chain store or restaurant within my sight!